Bunaken is one of the World’s most beautiful and bio-diverse sea environments with an amazing variety of marine life with high densities of fish and coral populations. 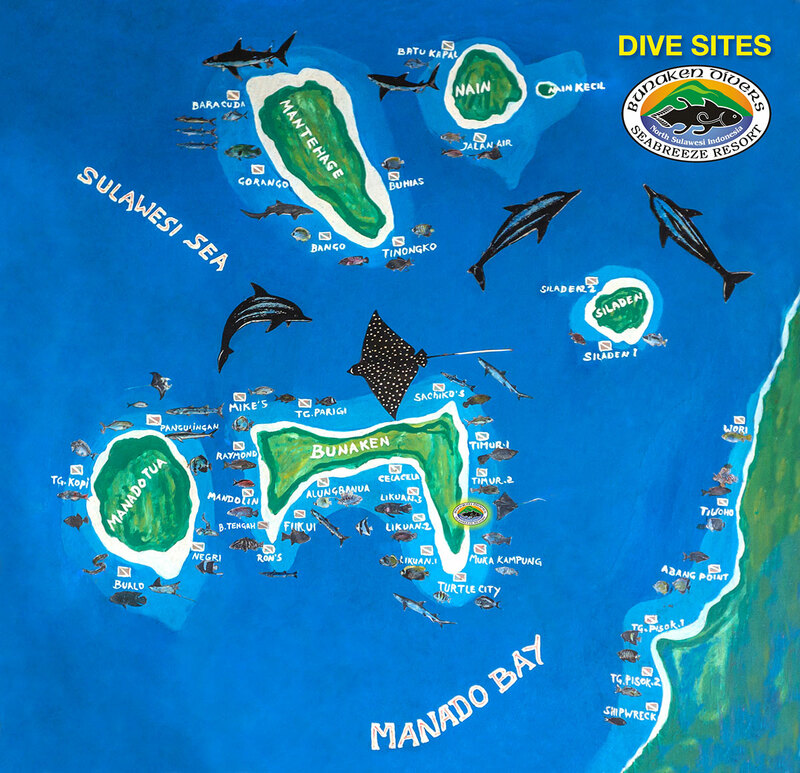 The dazzling colors and the sheer coral walls, slopes, caverns, and gullies with their spectacular formations beginning with a flat reef top in only a few meters sloping down to between 15 and 40 meters to where the slope levels out forming underwater valleys, or the vertical drop-offs plunging several hundred meters. Some sites have very jagged topography forming caves, crevices, over-hangs, and canyons in to the reef, while others are sheer walls or slopes following the coastline of the islands or mainland. The thousands of species that make up the colorful corals and fishes, reptiles, crustaceans, mollusks, sponges, ascidians, and mammals like dolphins and pilot whales, offers breathtaking and exciting diving for novice divers and divers with many thousands of dives. From macro to wide angle and from blue water to “muck” diving Bunaken Manado Tua Marine National Park has the perfect combination.